This was my latest project I did for a Phoenix resident. 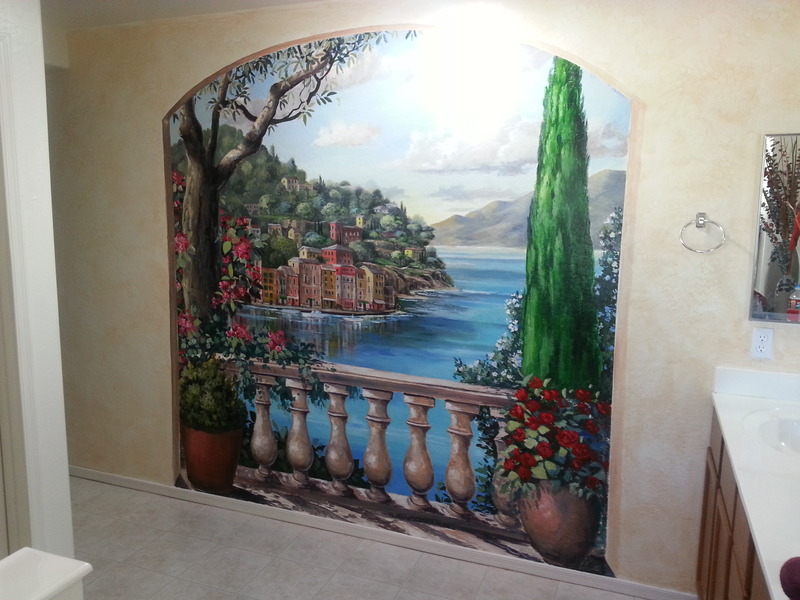 He wanted to bring some Italian charm into his home, specifically a big blank empty wall in his master bathroom. I really enjoy painting this theme! Mainly, I believe, because if I could be anywhere in the world, it would be Italy!! I visited in my early 20s and it is one of the most beautiful and amazing places! The history and the beauty, plus all the art make it my favorite place! Some day I will live there, and paint alla prima in the squares and sale my paintings, which will cover all my living and traveling expenses!! Hey a girl can dream! 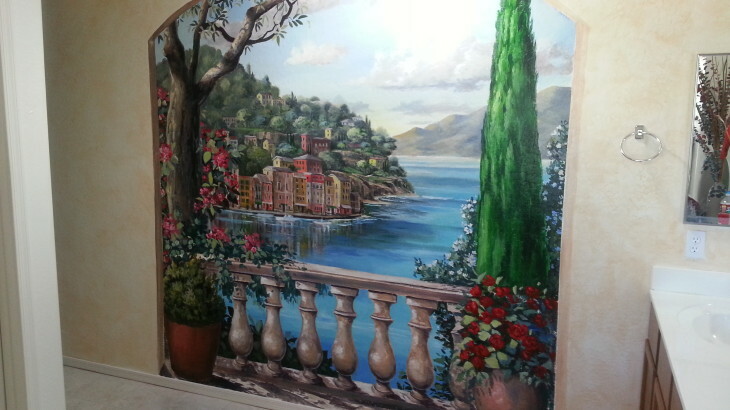 🙂 Each time I paint an Italian landscape it makes me want to travel there again, I completely understand why so many artists are drawn to the beauty of Italy and everything it has to offer, all the amazing painting ideas are limitless there!! Mural for Apache Junction Restaurant, Mickey D’s Cafe!